Welcome to systems integration with Microsoft Dynamics. For small and midsize businesses that have outgrown existing accounting software. Microsoft Dynamics 365 for Financials is the comprehensive business management solution that easily and seamlessly connects people and processes. Managing inventory while tracking trends on top selling items is key to managing cash and key investments into this business. In this scenario, we will show you how to review top selling items, check inventory, place the purchase invoice, and then post the transactions. The key benefits here improve decision making, gain greater insight into your inventory levels, and manage your cash and investments better. From the quick links section, we can select items. Access to your items and services are available directly from the home page. From the action bar, we can select inventory statistics. Next, select the top 10 list. In Dynamics 365 you can preview any report providing business leaders the opportunity to quickly and easily analyze trends is immediately accessible with a few clicks. One example is identifying top sales items based on inventory. This is critical to successfully managing cash for the business. Here, the Athens Mobile Pedestal is ranked number four as one of the top selling items. The top selling items are those that are as danger of inventory depletion or back order, and that’s a risk for the business. From the action bar, we’ll select purchase advice. 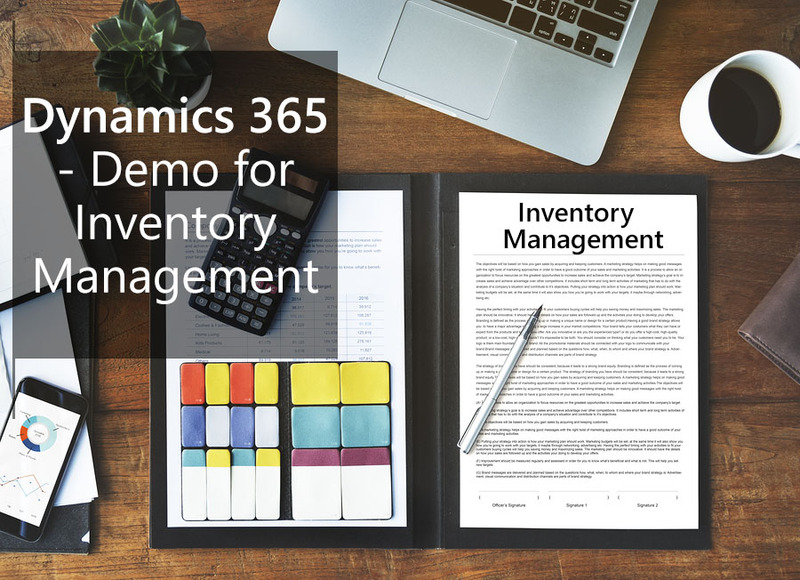 In addition to the built-in reporting capabilities, which allow users to preform their responsibilities, Dynamics 365 for Financials offers deeper intelligence to auto suggest replenishment of inventory based on lead time and average daily use. You can use Dynamics 365 to help in planning your item purchases. As before, we can preview the report. Again, the Athens desk is the number four top selling item, however the available quantity is only four. This is a potential risk and we need to replenish to avoid a back order and any future customer satisfaction issues. Note, that reorder amount one is the quantity you should order if a customer does not want to take those factors into account. Reorder number two is the quantity a customer should order if they do want to take these factors into account. Next, we’ll select vendors from the quick links. From the purchases section of the action bar, we can select vendor item purchases, which vendors should be used to replenish our inventory. A prebuilt report within Dynamics 365 for financials enables the person responsible for purchasing inventory to determine which vendor to select. From this view, we’ll use the filter on item number 1896S, the Athens, then we can click on preview. With one vendor, Nod Publishers, offering a more favorable lead time, this filter allows for quicker decisions on which vendor to use to refill inventory. From the vendor list, we’ll select Nod Publishers. Next, from the action bar we’ll select purchase invoice. Our preferred vendor follows over, so now we need to enter in the line item. We’ll enter Athens desk in the description field, enter the quantity to be purchased, and finally enter the vendor invoice number. Note, this is a required field as indicated by the red attracts. Once the PO is completed, we can request an approval if needed or simply post the transaction. We’ll select, yes, to view the completed transaction. Here’s the posted invoice. From the vendor card we can now select the balance drill down in the vendor’s statistics. This view shows all completed transactions for your vendor. Managing inventory while tracking trends on top selling items is key to managing cash and key investments in the business. Dynamics 365 for Financials helps organizations to better manage products and services and to avoid any out of stock or back order issues. The key to customer satisfaction is quick turn around on their sales orders. Providing business leaders immediate insight to inventory success is paramount to the success of a business and mitigating risk of out of stock and back orders. It also minimizes cash investments in the inventory. For small and midsize businesses that have outgrown their existing accounting software, Microsoft Dynamics 365 for Financials is the comprehensive business management solution that easily and seamlessly connects people and processes.